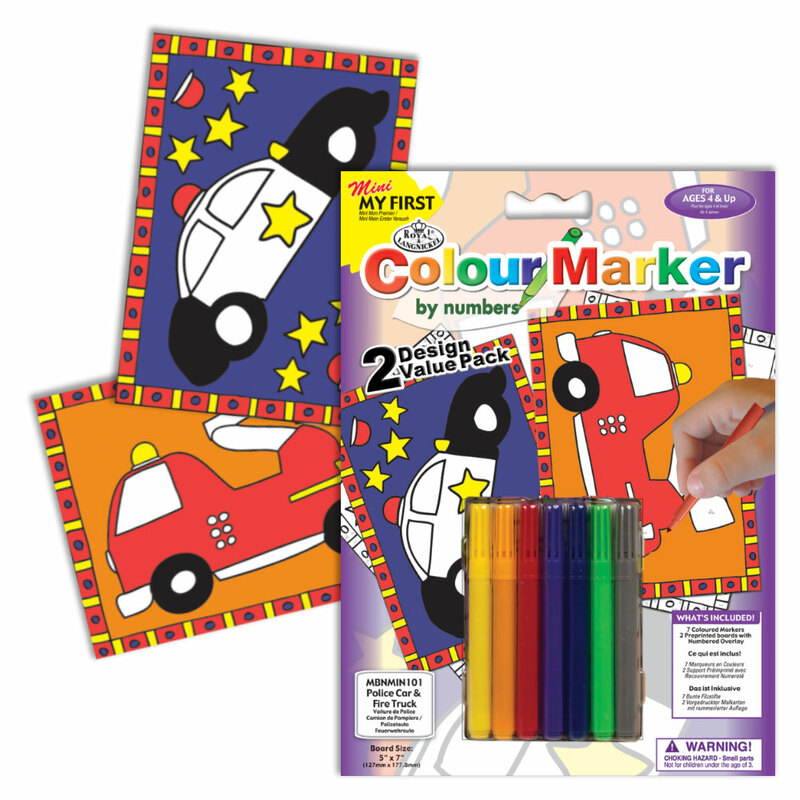 A fun and simple mini marker picture for ages 4+, showing a police car and fire truck, which all little boys love. In the set you receive two printed pictures of a car and a truck, required coloured markers and instructions. Some adult supervision may be required, but your child will have so much fun completing their picture, and you can display it in their room when finished. These also make great gift ideas for family and school friends too.